Young Frankenstein Event homeBuy ticketsCustomer reviews The Book of MormonCatsHamiltonCome From AwayRentLegally Blonde the MusicalHello, Dolly! Walnut Street Theatre open their 18/19 season with Mel Brooks' hilarious monster musical. A wild spoof of Mary Shelley's classic, Young Frankenstein centers on the famous inventor's son, Frederick, who is living in New York and trying to distance himself the reputation of his surname. All that changes when he inherits the family castle in Transylvania, complete with Igor, and it looks like history is bound to repeat itself. With a book by Brooks and Thomas Meehan (who also collaborated on The Producers musical), this shlock-tastic treated debuted on Broadway in 2007, where it garnered three Tony nominations, and has since become a firm favourite for local theaters the world over. Seen Young Frankenstein? Loved it? Hated it? Sound good to you? 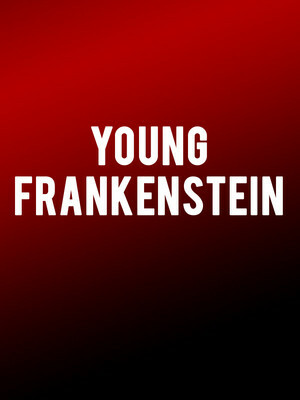 Share this page on social media and let your friends know about Young Frankenstein at Walnut Street Theatre. Please note: The term Walnut Street Theatre and/or Young Frankenstein as well as all associated graphics, logos, and/or other trademarks, tradenames or copyrights are the property of the Walnut Street Theatre and/or Young Frankenstein and are used herein for factual descriptive purposes only. We are in no way associated with or authorized by the Walnut Street Theatre and/or Young Frankenstein and neither that entity nor any of its affiliates have licensed or endorsed us to sell tickets, goods and or services in conjunction with their events.